The Noupoort Wind Farm participated in this year’s Cell C take a girl child to work initiative. 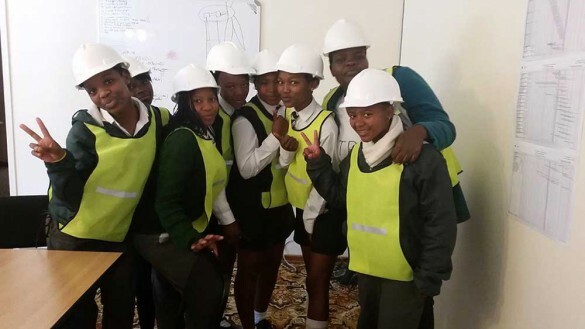 Eight school girls, four from the Noupoort Combined School, and another four from Enoch Mthetho High School were invited to the Noupoort Wind Farm. At the site office, female employees, mainly site engineers and Health and Safety officers from Mainstream and Murray & Roberts presented their day-to-day activities to the girls. Emphasis was placed on why their career choices, school subjects and relevant grades needed to achieve university acceptance. The learners also got to experience how a Wind farm is built.